Plast is a Ukrainian youth organization for patriotic, inclusive self-development. Patriotic, because Plast nurtures a love of the Ukrainian community and fosters a willingness to work for its wellbeing. Plast members are effective citizens of countries in which they live. Inclusive – because Plast encourages its members to fulfill their potential, able to both act independently and to cooperate in a group and aquire leadership skills. Plast encourages continuous self-development. Plast depends on the work of volunteer counsellors, the assistance of parents and the support of the Ukrainian community. 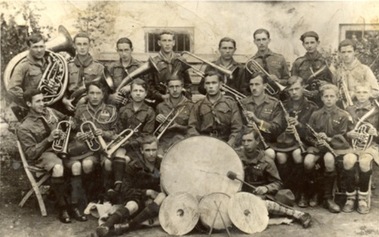 Plast was founded in 1911-12 in Lviv, Ukraine on the model of Boy Scouts established in Great Britain in 1907. The founder of Plast, Dr. Oleksander Tysovsky incorporated scouting values, methods and means but added Ukrainian symbols and nomenclature related to Ukrainian history in his conception of the Plast organization. Plast existed in Western Ukraine until 1930 and, after WWII, was transferred to the countries settled by postwar Ukrainians refugees – at first to Germany and Austria, and after1948, to Canada ,USA, Australia and Argentina. In Canada, Plast established branches across the country. Today there are Plast centres in Montreal, Ottawa, Toronto, St.Catharines, Winnipeg, Edmonton and Calgary. After the collapse of the USSR, Plast renewed its activities in Ukraine where it became a national organization with branches in all oblasts (provinces) of Ukraine. Plast in Canada aided in the development of the reborn organization in Ukraine, often with the support and sponsorship of Canadian government programs. Canadian Plast is a member of the world-wide Plast community which holds a conference every 3 years. Every five years, Plast organizes an international jamboree. In 2007 such a jamboree was held in Ontario to mark the 95th anniversary of Plast. The aim of Plast is to bring up youth to be conscientious, responsible and valuable citizens of their local, national and world communities and to foster the development of leadership skills. Plast uses tested means of development which are incorporated into activities for all age levels – meetings and gatherings, hikes and camps. Plast summer camps are the apex of the year’s activities and give youth the opportunity to develop responsibility, self discipline and teamwork. Plast members are divided into four age groups: novak (comparable to scouting’s cubs) from 6 to 11 years of age; yunak (comparable to scouting’s scout) from 12 to 18 years of age; older plastuny (as scouting’s rovers) from 18 to 35 and seniors – those over 35. Novak and yunak groups conduct their activities in groups of 6 to 12 members (scouting’s patrols) under the guidance of a counsellor – a member of Plast from the older two age groups. The self-development program of Plast is based on a system of proby (challenges) which serve also as a measure of the acquisition of know-how and maturity. 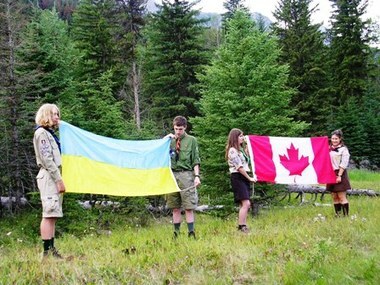 To ensure a multifarious program, a system of merit badges is used.. Counsellors are encouraged to conduct all activities in the Ukrainian language and a working knowledge of the Ukrainian language is a condition of membership. This means that Plast must work together with parents and Ukrainian schools. Plast members wear uniforms to foster identification and membership in the group and use a system of badges to demonstrate achievements and encourage a culture of self-betterment.